The highly anticipated trial about Harvard University’s admissions practices began Monday and continued throughout the week. Students for Fair Admissions, a group that opposes affirmative action, sued Harvard in 2014, alleging that the school discriminates against Asian-American applicants by rating them lower on personality measures that factor into admissions. As William R. Fitzsimmons, Harvard’s Dean of Admissions and Financial Aid, fielded questions from the stand, previously unknown details about Harvard’s admissions practices emerged. Fitzsimmons acknowledged that the admissions department maintains an “interest list” of children linked to donors and alumni. John Hughes, a lawyer for Students for Fair Admissions, presented emails between Harvard officials indicating the power that donations – or potential donations – could have on an applicant’s prospects. In one email, a former tennis coach described how he rolled out the red carpet for an applicant whose family donated $ 1.1 million to the school. The case is expected to continue for two more weeks and could ultimately reach the Supreme Court . More than 150 Members of Congress sent a letter this week to Education Secretary Betsy DeVos urged her to investigate the Public Service Loan Forgiveness Program. “We are deeply troubled that millions of dedicated public servants may not obtain the loan forgiveness that they deserve if the Department does not act quickly to correct program implementation issues,” they wrote. The Public Service Loan Forgiveness Program, or PSLF, was meant to relieve teachers, emergency workers, and other public servants of their student loans after 10 years of service and 120 qualifying payments. A report by the Government Accountability Office, the independent federal watchdog, shows that 99 percent of Applications for loan forgiveness have been denied so far. The Consumer Financial Protection Bureau raised a red flag about the program for more than a year ago. After more than a year of delays, an Obama-era rule granting loan forgiveness to defrauded student borrowers went into effect this week. 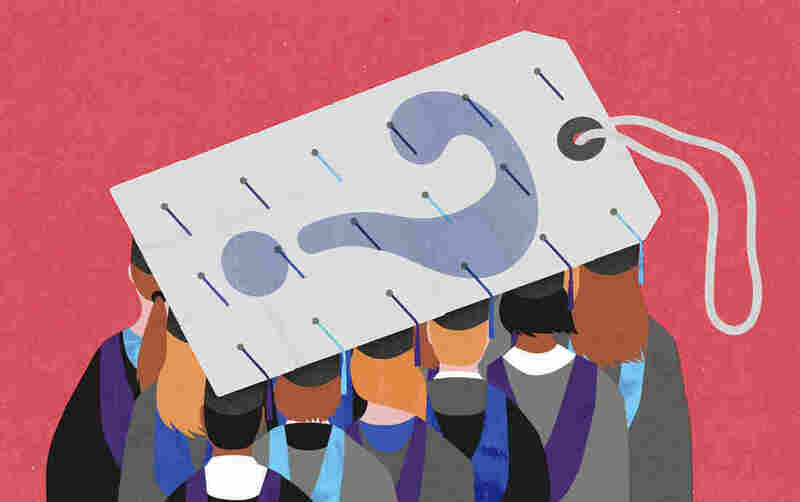 The rule, known as Lender Defense to Repayment, applies to students who attended a for-profit college that broke consumer protection laws or lied about measures or student success, like job placement rates. It’s one of a number of Obama-era rules targeting private, for-profit colleges that the current US Department of Education, led by DeVos, has rolled back or delayed. The Department initially delayed the rule’s implementation in 2017, and this week, Federal Judge Randolph Moss denied a request by The California Association of Private Postsecondary Schools to scrap the rule entirely. “This is not the first (and presumably not the last ) chapter in a dispute about the fate of regulations promulgated by the Department of Education in November 2016, “Moss wrote in his opinion this week. Court documents show that the Department remains committed to rescinding the 2016 rule.